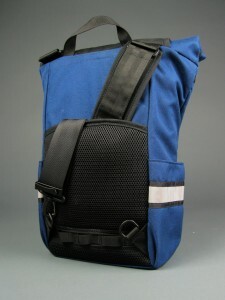 Home » Blog » Pack-a-Pannier Sale – 25% off everything inside the bag! 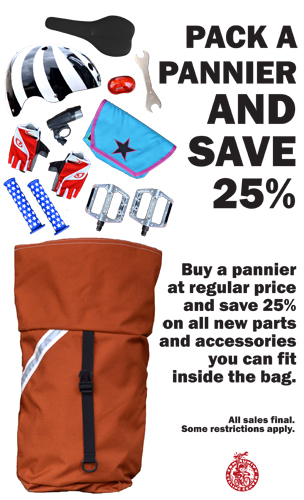 During the months of September and October, buy a bag or pannier, fill it with any new parts and accessories, and we will give you 25% off everything inside the bag. Also, pro tip, you can put a bag inside a bag, which means you can buy one bag at full price and get the second at 25% off! Our bag selection is bursting. 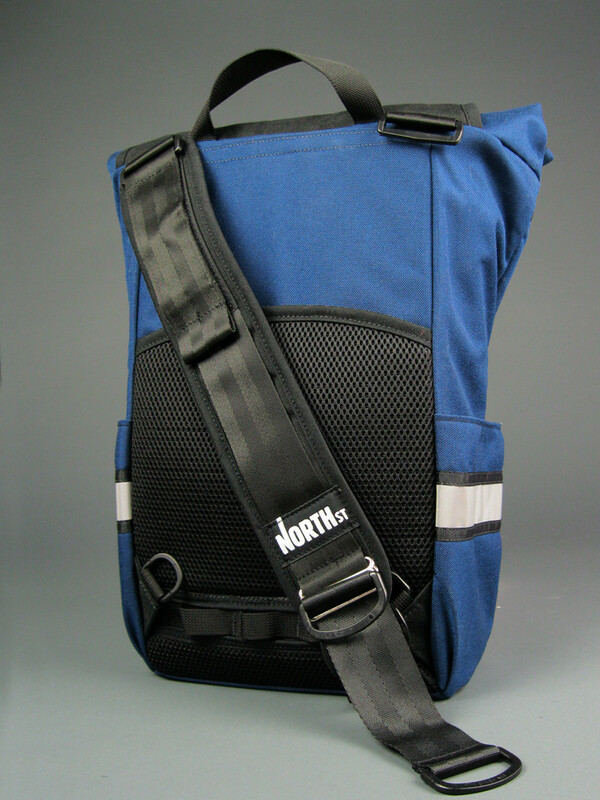 We have have panniers by North St., Axiom, Basil, and Ortlieb; backpacks and messenger bags by Blaq and Black Star; hip pouches by Black Star and North St; and frame bags by Jandd. 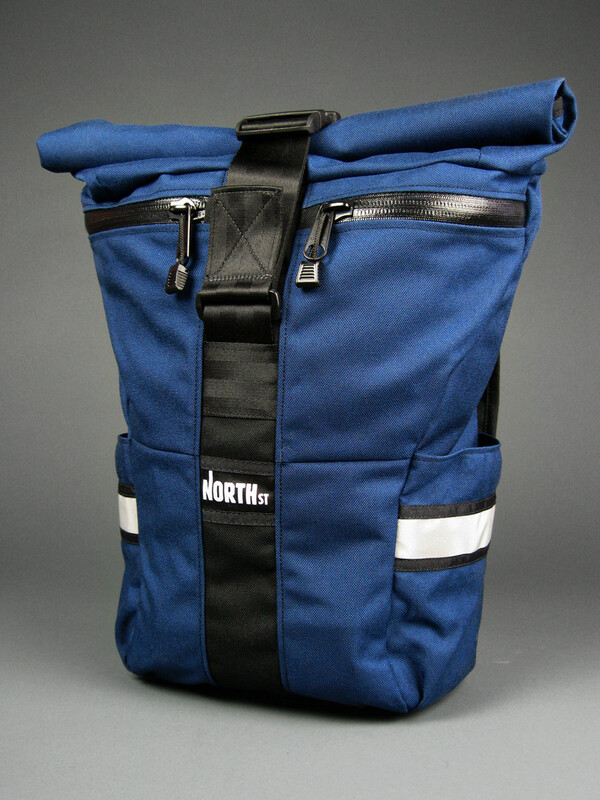 Have you checked out the Route 9 Panniers from North St? 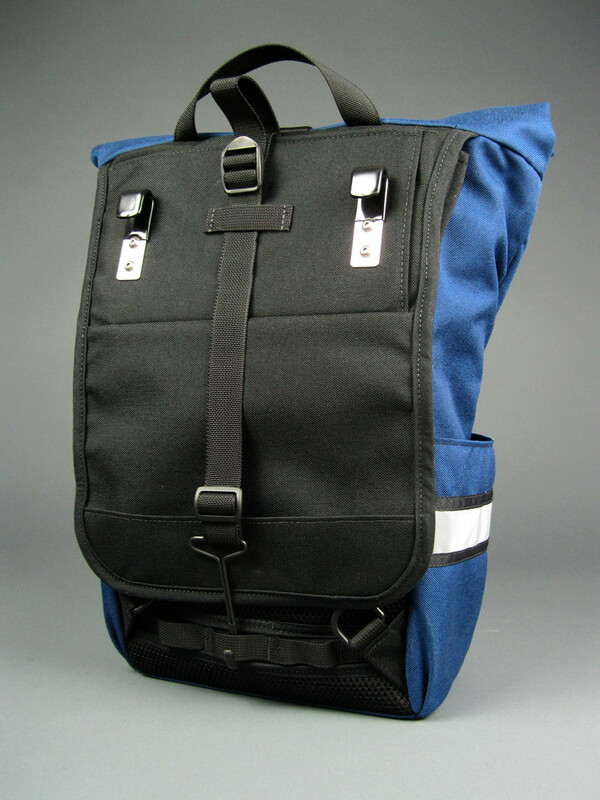 We’re excited about this convertible backpack pannier. Based on their popular Route Seven bag, the Route Nine comes with a padded shoulder strap and stow-able pannier backing, allowing the bag to flip from a pannier into a one-strap backpack in a heartbeat. It’s versatile, with reflective striping and external pockets for stowing keys or lights. We’re proud to be the number 1 dealer of North St. bags in town. 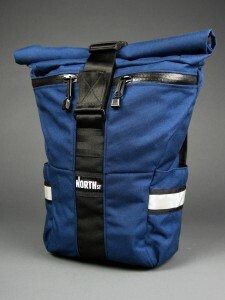 Stop on by and check out their other panniers, too!